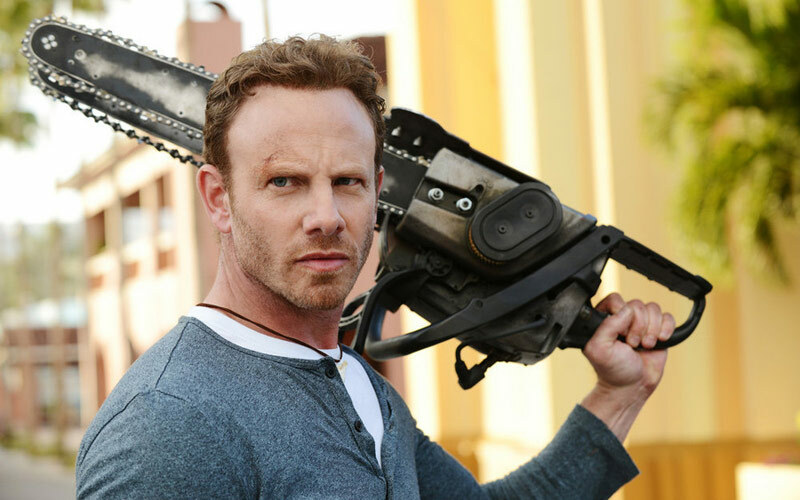 Oh hell yes: Sharknado is back on Syfy tonight, and the third installment brings with it more ridiculous mayhem and another slew of reality TV cameos. Shark Tank‘s Mark Cuban as the actual president, and, of course, the ever-serious Ian “EYE-an” Ziering from Celebrity Apprentice is the franchise’s star, Fin Shepard. The third installment brings more of the same from the first two films, from the cameos to the ridiculousness. This is not a movie you watch for Oscar-worthy acting, flawless special effects, coherent writing, continuity, or adherence to the laws of physics. 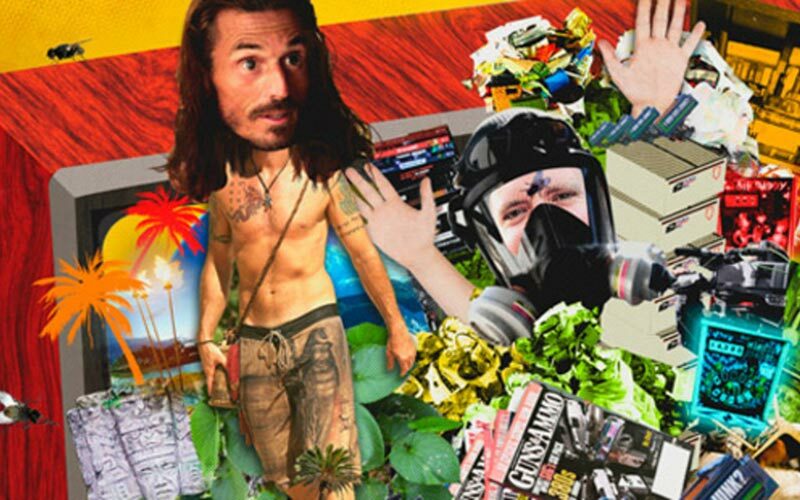 It’s one you watch because the absence of all that can be absurd and fun. The only real criticism I can offer of the third installment is that, after an amazing pre-credits opening sequence, it’s actually somewhat boring for a long stretch in the middle and toward the end. Too much talking, not enough sharknadoing, not enough fun. One major contributor to all that drag is the product placement, which is as comically absurd as the CGI shark deaths. Between the commercial breaks, there are advertisements for NBCUniversal properties like Xfinity and The Today Show, in addition to three rides and one hotel. You could honestly mistake parts of the movie for a Travel Channel special about Universal because there are so many establishing shots and lingering close-ups on logos. It goes beyond what is natural or necessary. But hey, this is Sharknado. How exactly is a low-budget comedy horror film like this produced? What surprised me the most was how much like other TV and film sets I’ve been on, and those include the cinematic masterpiece The Waterboy. Seriously, there were a lot of people working very hard: setting up shots, rehearsing, adjusting things, and even repeatedly toweling off the top of the hero car that Ian was using for a stunt. The particular scene, set in DC, involved a car pulling into a crowd of protesters (extras, including a group of visiting journalists), and there was a lot of attention to detail. The final product is on screen for less than 30 seconds, but it took hours and hours to film. I suppose I expected a lack of attention or concern. Sure, the protest scene isn’t really explained, and takes place in the middle of a sequence that makes no sense in terms of Washington, DC, geography, but there was care and attention to its filming. The assistant director communicating with the extras was constantly expressing gratitude for the extras’ patience and effort; the stunt drivers talked to the extras to explain exactly what would happen and how to remain safe; director Anthony C. Ferrante consulted with his crew. Between takes, Ian Ziering talked to the crew and sometimes to extras, and occasionally lifted what appeared to be two weights inside plastic bags to protect them from the real-life drizzle. Although it seemed like a long time for a 30-second scene, the movie itself was shot in just a couple of weeks, so this one day began with scenes filmed on a roller coaster; moved on to the DC protest scene; and then went inside the Twister attraction. There, Ian repeatedly rehearsed using a foam shark where a computer-generated one would later be placed. Theme park technicians worked with crew members to operate the attraction repeatedly so the crew could get a sense of what to expect and what they wanted. Extras waited in a holding area for a reaction shot that lasted a couple seconds. It didn’t seem like a low-budget movie.What ends up on screen certainly does, but watching these scenes be filmed, you might never have guessed it was Sharknado. That’s almost as unexpected and unbelievable as sharks ignoring gravity and flying through the air to attack people.